With the generous support of Lannan Foundation, SAR offered fellowships to eight Native American authors as part of the Indigenous Writer in Residence program. Writers developed their creative projects and interacted with local scholars, artists, and Native communities. The seven-week residential fellowships with on-campus housing, studio space, supplies allowance, library support, and travel reimbursement to and from SAR provided time for each author to explore new avenues of creativity and further develop their ideas. Authors have gone on to publish works and continue to receive national recognition for the writing developed in large measure during their time at SAR. Please note, this program is suspended until further notice. 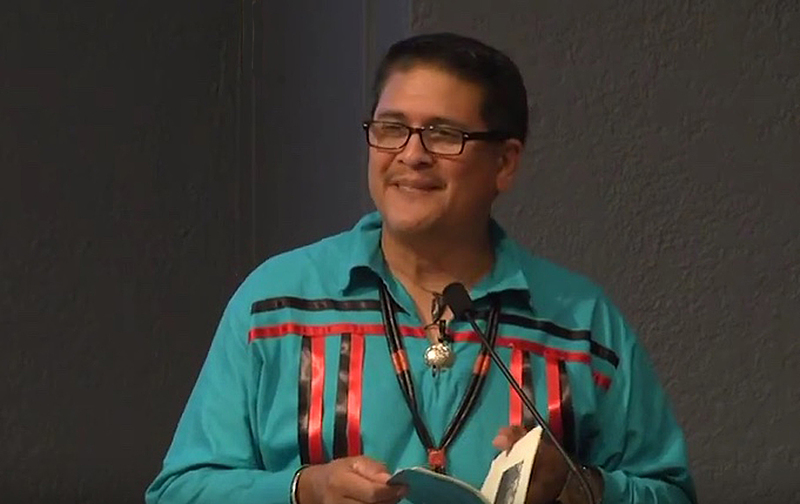 Poet and potter Max Early (Laguna Pueblo) reads from Ears of Corn: Listen, August 2015.